This is an illustration of the cheetah, an African feline and the fastest land-living animal existing. What else is there to say here? This is the kind of animal you see in Walt Disney animated features, and it's pretty popular among kids. It also serves as the brand mascot of a popular brand of snack. 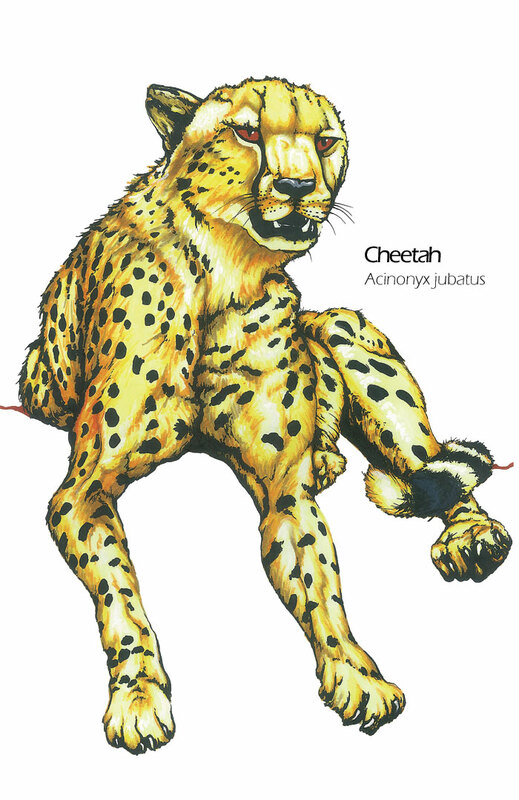 Animal drawing art description: Fine art drawing scientific illustration of a cheetah. Color markers and ink drawing by Madeleine Dubé. 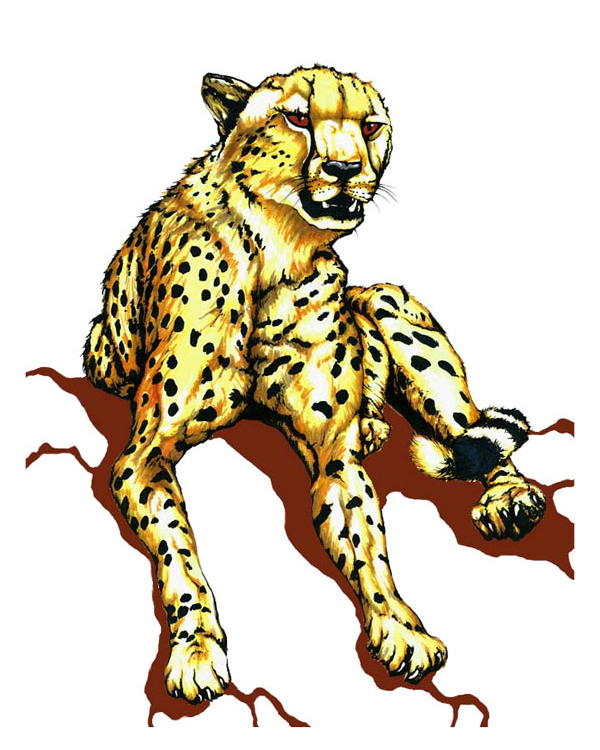 Cheetah drawing artwork available for sale as greeting cards, postcards and high quality giclée print reproductions (8"x10" and 11"x14"). Cheetah animal image available for licensing. Ideal for commercial uses such as print, packaging or advertising. For information contact me by email or by phone: 1-514-770-0705.